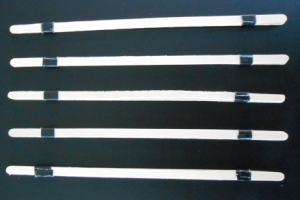 For this project, we need five taped pairs. 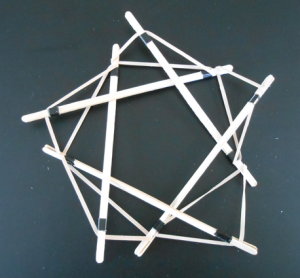 Arrange them in a pentagon, each stick under its clockwise neighbor and over its counterclockwise neighbor. 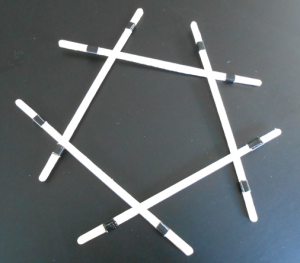 The goal is to have the high end of each stick be approxmately at the midpoint of the two nearest low ends of sticks. 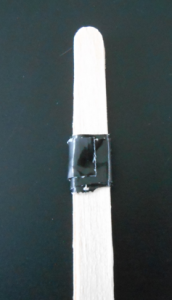 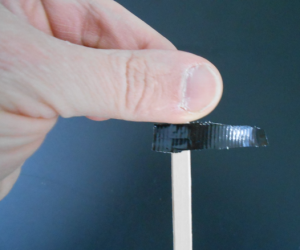 You need just one more rubber band — slipped into all five of the upper stick ends: Now you’re almost done: just tweak and pull the rubber bands through the slots at the end of the sticks, to get everything nice and symmetric as in the opening photo above. 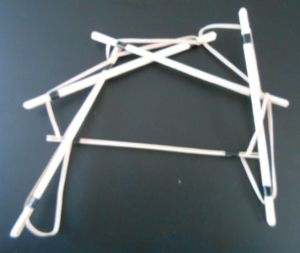 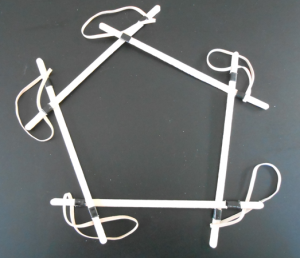 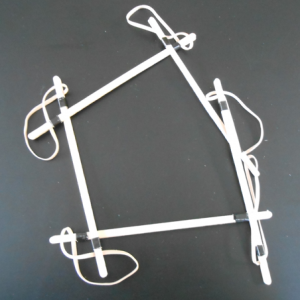 Amazingly, the five sticks will rise out of the plane, to create the pyramidal three-dimensional structure, tugged into place by the opposing forces of the rubber bands, each trying to minimize its tension. 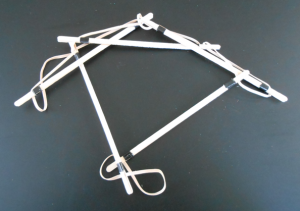 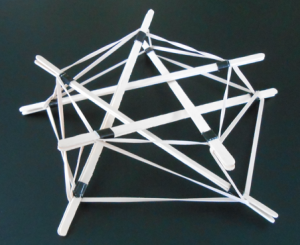 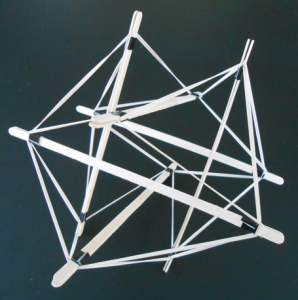 Of course, these same basic materials and methods can be used to create many other tensegrity structures, such as this classic six-strut not-quite-regular icosahedron: As always, pics of anything incredible you create to mondays@momath.org. 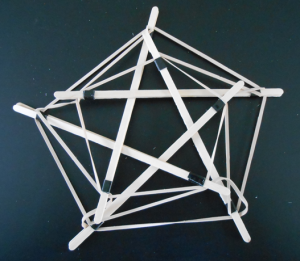 Enjoy exploring the wonderful world of tensegrity! 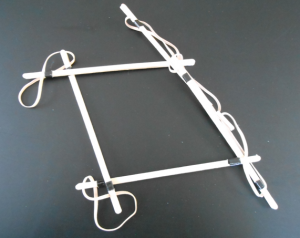 This article first appeared on Make: Online, April 29, 2013.